It is great new for all the residents of Ratchada, Rajaphuk and Kallapraphuk area. Today on children’s day, January 12th 2013, BTS has open it’s new station Pho Nimit on the extension of silom line. This station is next to Wong Wian Yai, which used to be the last station of silom line on other side of the river. Due to delay in the construction the next station Talad Phlu will open it’s door on Valentine’s Day on 14th February, 2013. Originally both of these stations supposed to start in end of the last year. However there are two more stations are under construction and are excepted to open in mid or end of 2013. The next two station are Ratchaphurk and Bangwa. The last station of silom line is Bangwa and it is very near from back side or metro park sathorn. Currently all the residents of metropark who want to use the BTS has to travel to Krungthonburi and which takes 10 minutes to 45 minutes but when Bangwa will be opened, the traveling time will be 5 minutes to 15 minutes maximum. It will be also good to take a motorbike taxi for metro park sathorn. Brand New Luxury two bedroom Condo for Rent ‘Supalai Premier’ Ratchada Narathivas Sathorn” 27Floor, 96.8 sq.m. 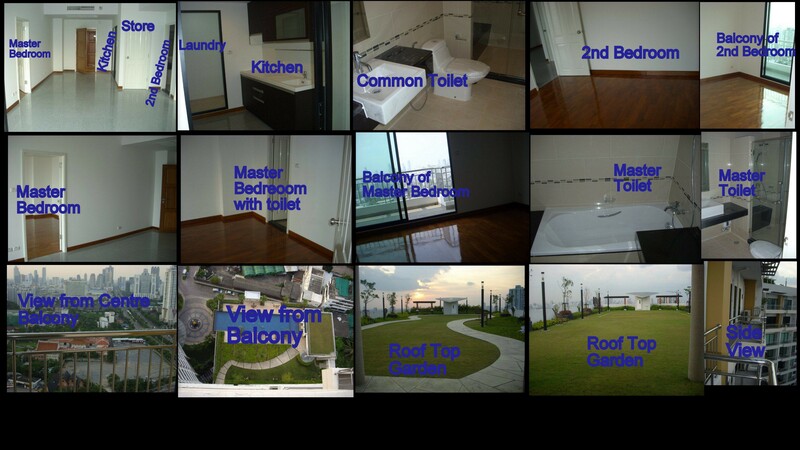 2 Bedroom/1Kitchen/Living room/2 luxury bathrooms with all latest amenities, Stunning view of Bangkok city from your condo. Located only 50 meter from BRT Naratiwas Station and 1km from BTS Chong Nonsi Station. Full facilities include roof-top garden. High-technology security systems such as Proximity Card, In-room Video Phone with Intercom that room owner can automatically allow guests to get access to passenger lifts, full fire protection system, 24-hour security guards with CCTV system. With1 fixed car parking All rooms are semi-furnished. Next to BRT, Tesco Lotus, very near to MRT, BTS chong nonsi, central rama3, and toll way. The new Pho Nimit and Talad Plu BTS skytrain stations will open for public use in mid-January 2013 instead of Dec 5 as earlier planned, deputy Bangkok governor Teerachon Manopaiboon on Tuesday. Pho Nimit and Talad Plu stations are new additions to the Silom line, section Sapan Taksin-Petchkasem. Mr Teerachon said Independent Engineers (ICE) inspected the stations and facilities and said they are not ready for full operation. However, the schedule for two more stations, Wutthakat and Bangwa stations, continuing from Talad Plu station will still open on Aug 12 next year, said Mr Teerachon. He said for the last two stations, Bangkok Mass Transit (BTS) will have to coordinate with Mass Rapid Transit (MRT) because their expansion projects will be in the same area.